Outside the city of Xi’an near the Da Yan Buddhist Pagoda, there is a cave with the plaque Gu Han Yao, or “Ancient Cold Cave-Dwelling.” Simple carved cave-homes are characteristic of China’s northern plateaus, but this particular cave is where a young woman once waited nearly two decades for her husband to return. Her tale of perseverance and devotion has been passed down through Chinese history, and many after have sighed with admiration contemplating the destitution and loneliness she had endured. Our heroine Miss Wang was a young woman of very high social status. She was the prized pearl of a wealthy family that lived in the Tang Dynasty's capital. And she would soon marry a man of matching worth, or so her parents had hoped. Word of Miss Wang's beauty and her coming-of-age had long spread throughout the city. When the grand date came for the ceremonial tossing of the embroidery ball—an age-old folk tradition for letting the hand of fate bring together bride and groom—all the affluent young men from near and far came to present themselves. 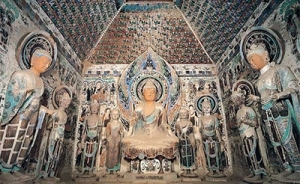 The Wang parents waited eagerly for their beloved daughter’s big moment; however before the tossing, she had already chanced upon a scholar named Xue. During their first encounter, she noticed Xue had an extraordinary aura that set him apart from all the “eligible” bachelors. And though his shabby clothing affirmed that he was of a lower class, their brief meeting revealed Xue's excellent martial arts skills, fluency in the classics, and gentlemanly demeanor. What touched her most though was his kindness and consideration for others. 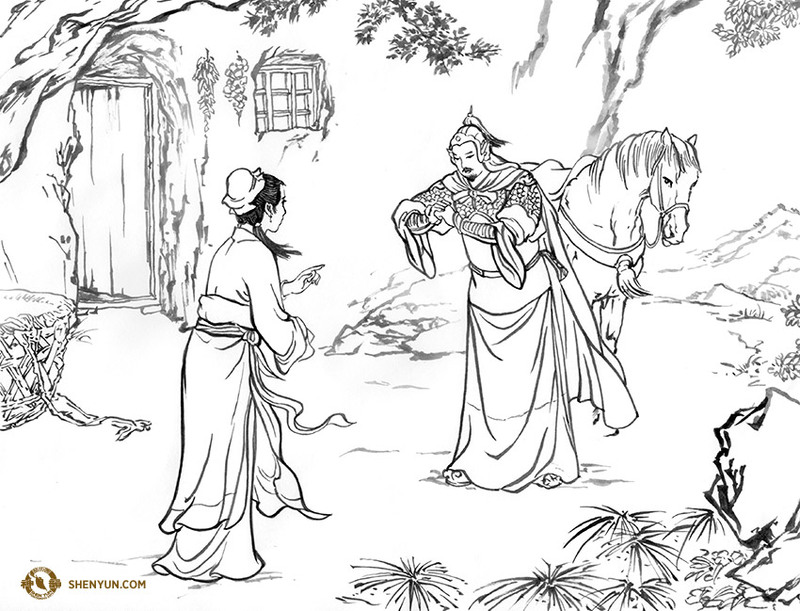 As for the scholar, Xue felt that the young lady had the delicate beauty of a princess, but was not fragile in nature; she had the graceful bearing of the nobility, but was not arrogant. Yet upon discovering that she was the Miss Wang, he felt dejected because a common man like him could never be considered as her match. Little would Xue expect, Miss Wang's intuition told her that he was a worthy fellow to follow. Having made her decision, she aimed the silk ball with intent. The winning catch enraged her father. His precious daughter marry a raggedy beggar? How could she bring such dishonor to him? What would people say about her? What would people say about him? She would put all their ancestors to shame! But the girl was firm in her choice. Infuriated, Father Wang cast her out of the family. So who was this man for whom a noblewoman gave up everything she had? Xue came from an elite lineage; however upon his father's early death, the boy was reduced to living a farmer's life for most of his youth. Yet this didn’t deter Xue from having higher aspirations. He worked diligently to master both the books and martial arts. But at this time—as his threadbare clothes disclosed—Xue's education and abilities had yet to be put to use. The young scholar's talents remained hidden until his future wife vowed herself to him. After their marriage, the new couple passed their days in a cave-dwelling out in the plateaus. Cut off from any dowry, they lived a quiet, frugal life. However, the young wife knew her husband was blessed with talents that could help the country. She encouraged him to travel to the capital to take the imperial exams and pursue a worthy career, assuring him that she would be fine at home. He made preparations to depart and sit the big test. She made preparations to hold the fort at the cave and wait. Yet nothing could have prepared her for how long her husband would be gone. A wife's instinct: Xue placed excellently in the exams. But at the time the kingdom was in danger, and with his newly gained honors Xue was commissioned to head an expedition against rebel forces at the western borders. In time, Xue proved himself a brave and skillful general. During one victorious battle in Liaodong, Emperor Taizong himself discovered Xue’s talents. “I am trying to find new generals to entrust military matters to, and none compare to you,” he said, “I am happier about gaining you than about gaining Liaodong.” (Excerpt from the Old Tang Annals.) Xue went on to serve as an important general during the reigns of two emperors. Meanwhile, his wife remained in the desolate cave. At first, she would occasionally hear news of her husband, but for a very long time she lost all contact with him. Reduced to the barest necessities, struggling through winter after bitter winter, the lone woman kept her faith alive: her husband hadn't forgotten about her and he would come back one day. From time to time, her worried mother would visit in secret, bringing some much needed food and money. Madame also tried to persuade her daughter to give up and go back home, but to no avail. The bride would wait for her husband in their home until he returned. Her sacrifice was not in vain. Eighteen years later, Xue finally came back an influential general of the emperor’s army. And the couple was reunited at last. Different renditions of this classic story has been passed down generation after generation. 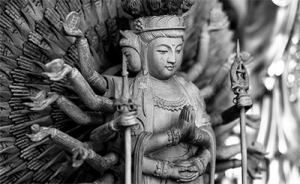 Its selfless and courageous heroine is an epitome of the traditional Chinese woman in all her virtues. This season, Shen Yun 2018 brings the spirit of this tale onto the modern stage in the dance vignette Devotion. Shen Yun 2018 is now touring 150-plus cities around the world. 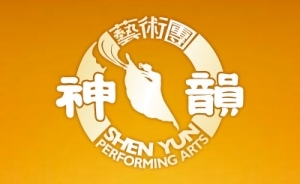 For schedule information and tickets visit www.shenyun.com/tickets.